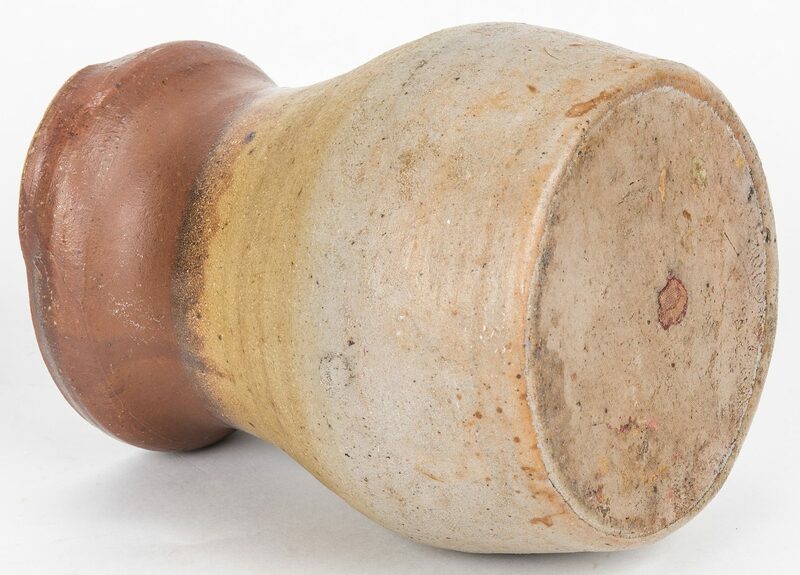 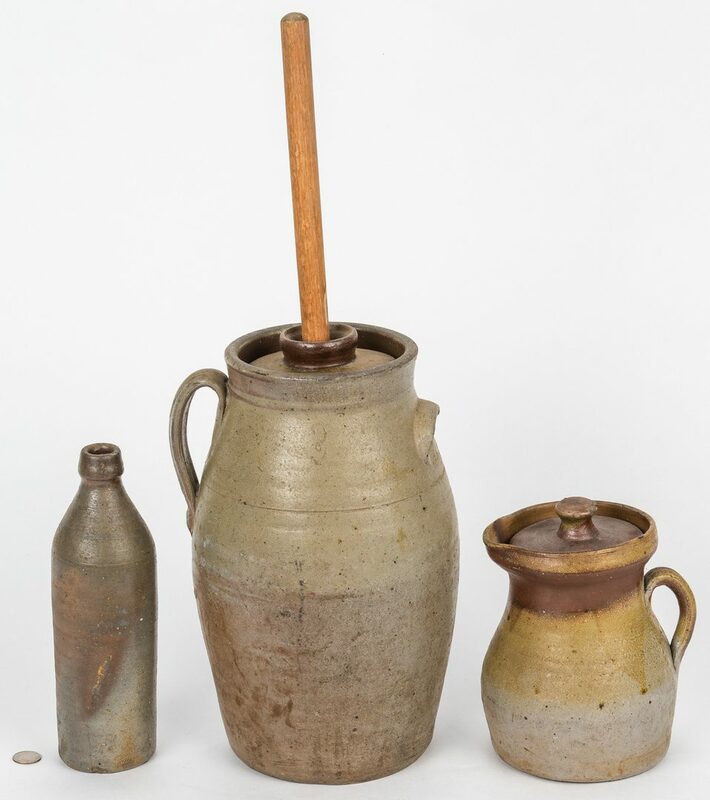 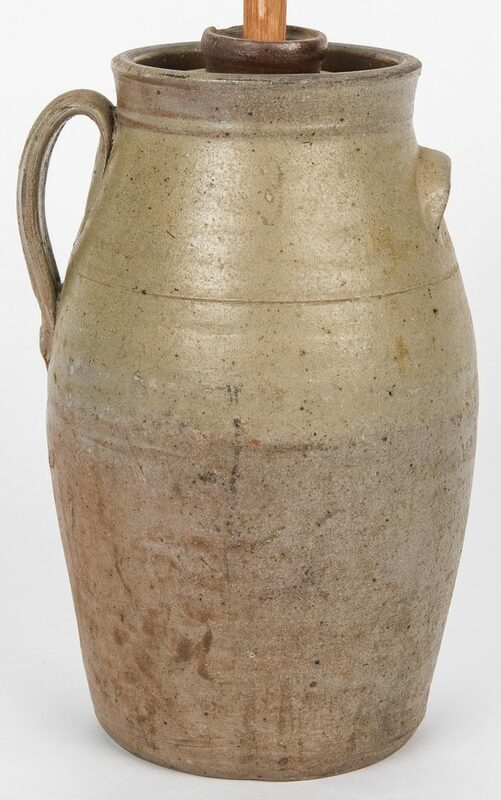 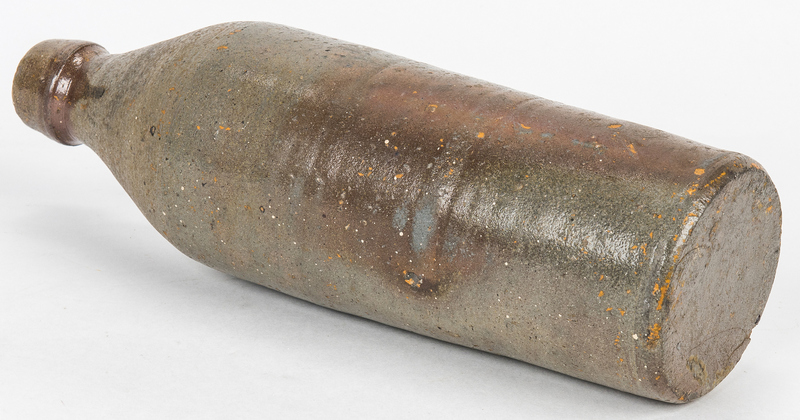 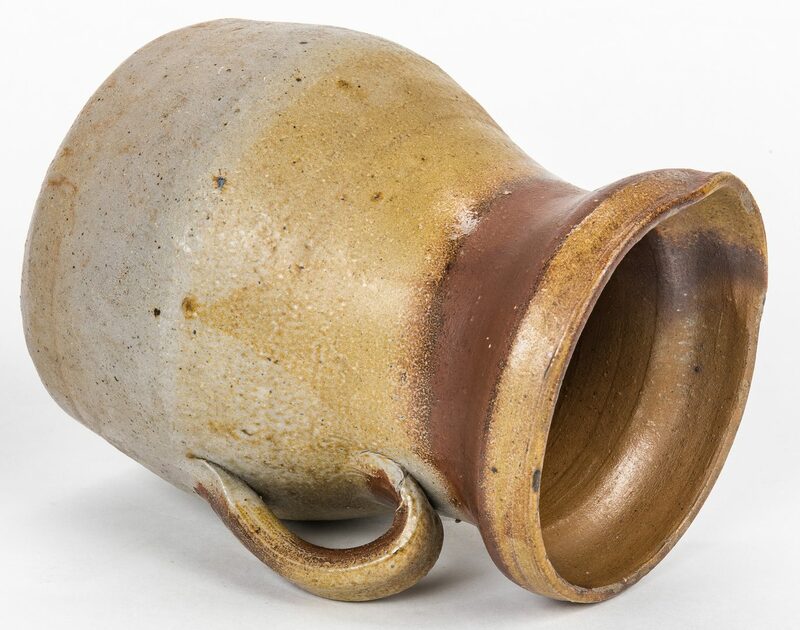 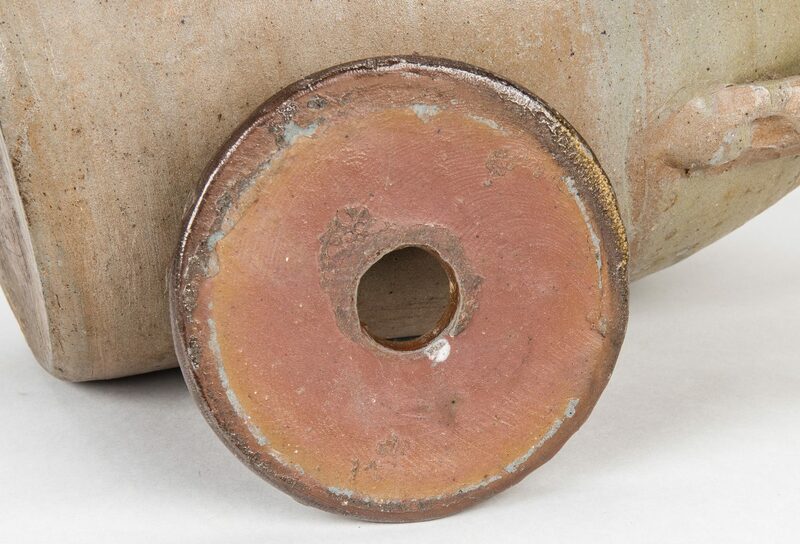 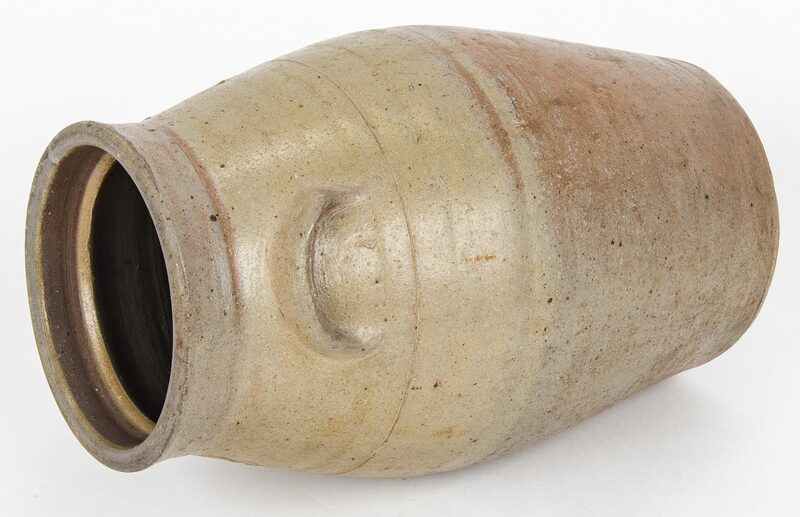 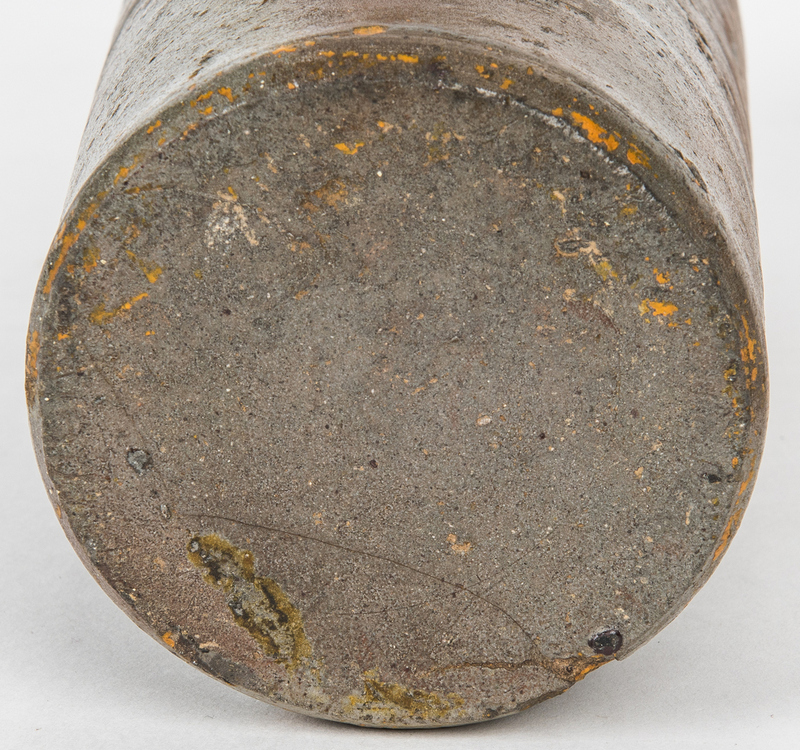 Group of three (3) Middle Tennessee stoneware pottery items including one (1) lidded churn with grey to tan transition glaze and incised "3" denoting capacity; one (1) stoneware bottle with grey and tan glaze marked "T.C." 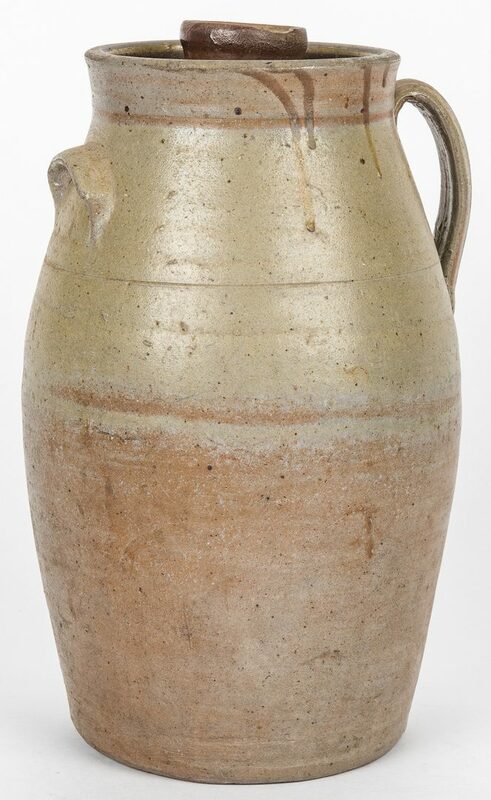 lower edge for the potter Thomas Cole; and one (1) pitcher form with lid with brown to tan transition glaze. 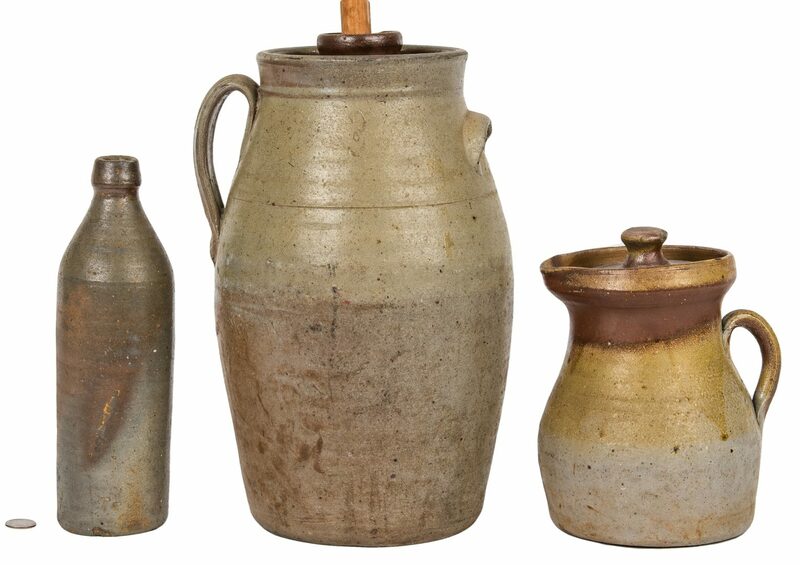 Ranging in size from 8 1/2" H to 14 1/2" H. All late 19th/early 20th century. 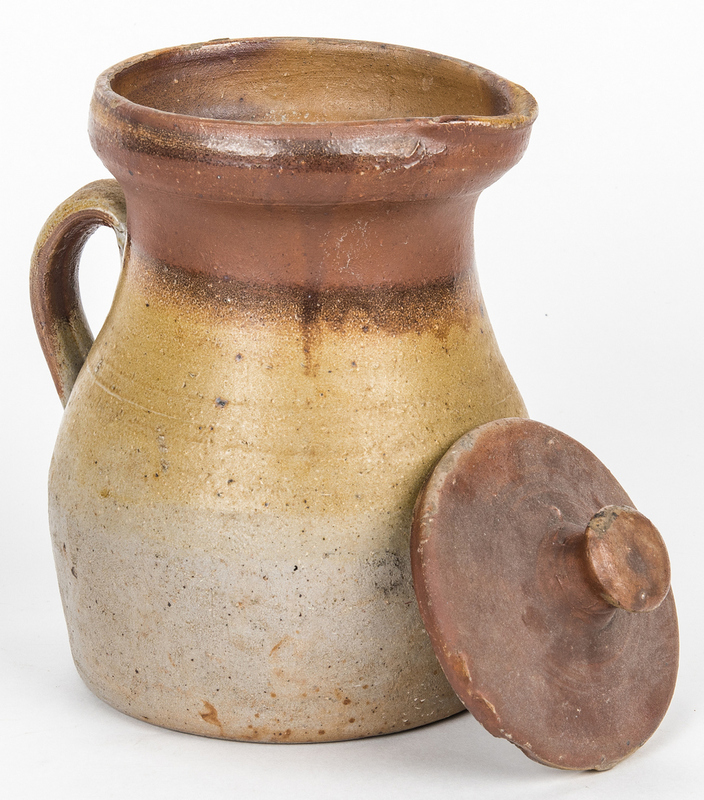 Provenance: Nancy Walton Collection, Gatlinburg, TN. 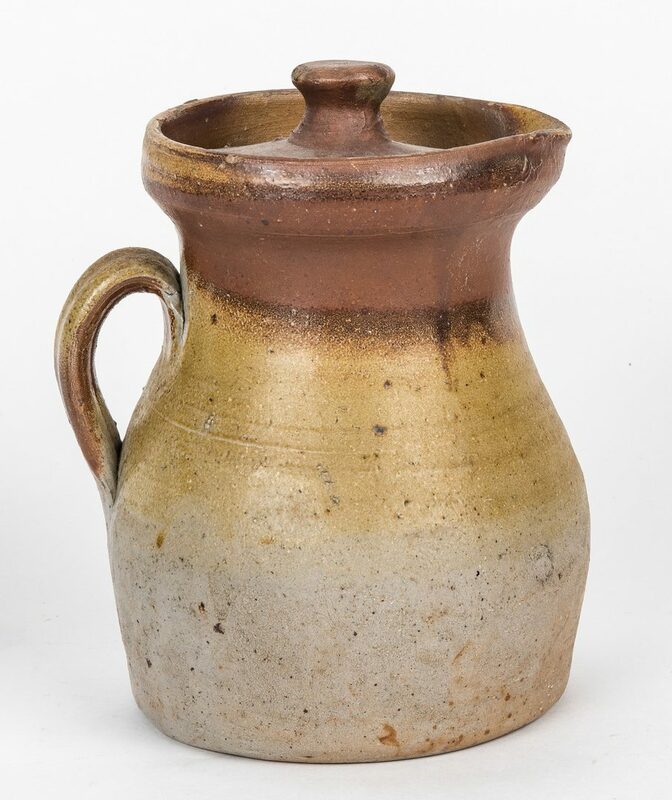 Note: Thomas E. Cole (1855-1922) working Putnam and White Counties, TN (source: TENNESSEE POTTERIES, POTS, AND POTTERS – 1790s TO 1950, Volume 2, by Samuel D. Smith and Stephen T. Rogers, 2011, pg. 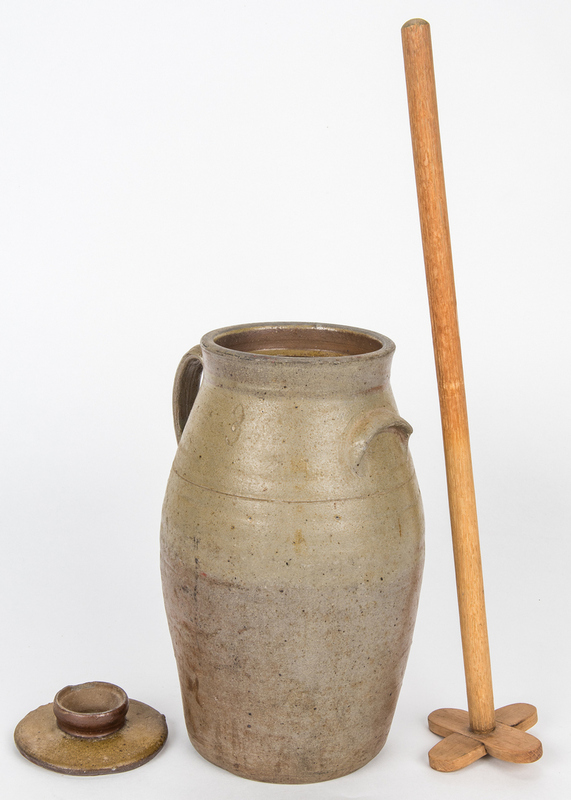 621). 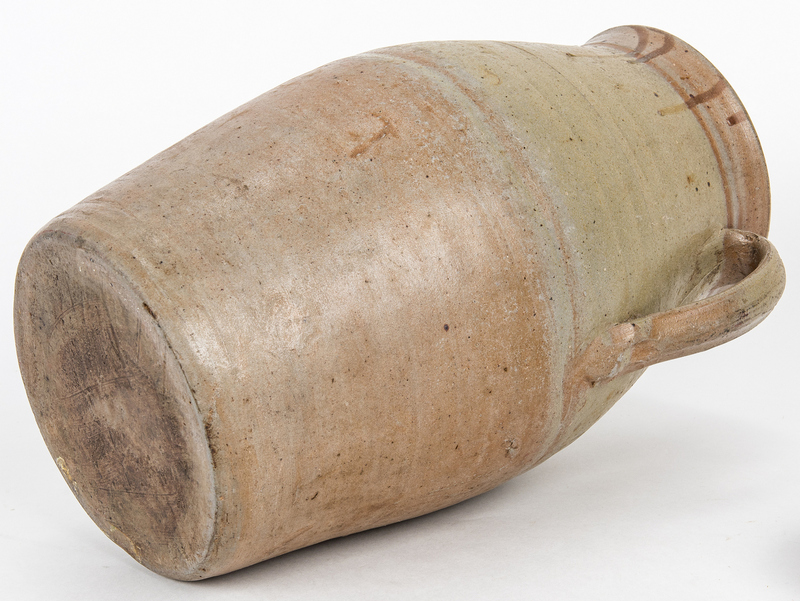 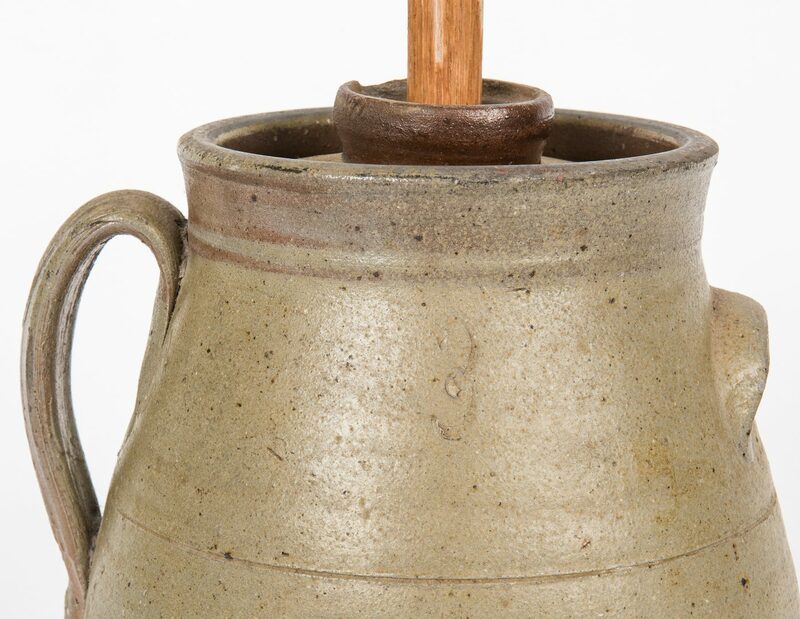 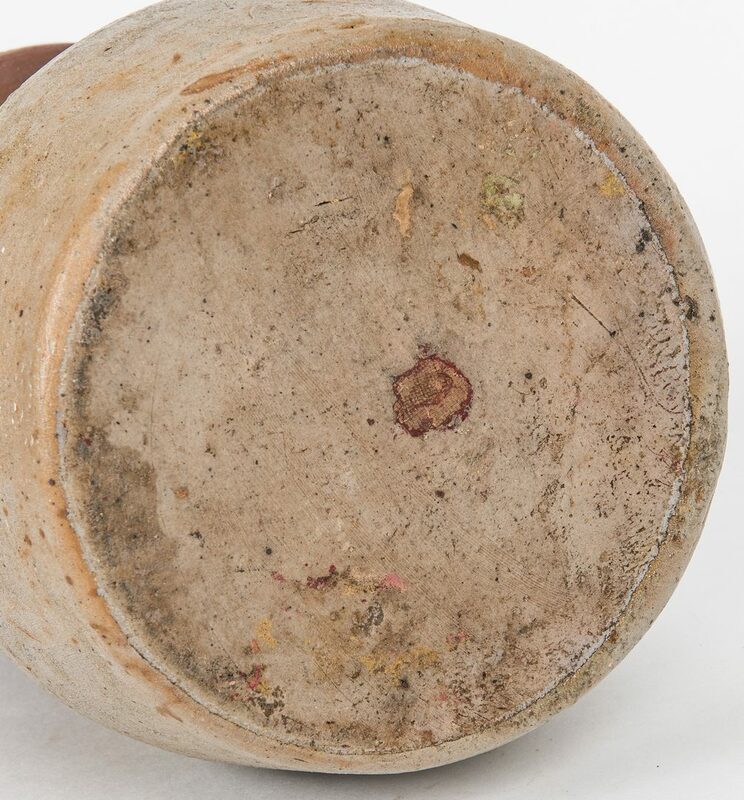 CONDITION: Churn with chipping to lid and lug handle. 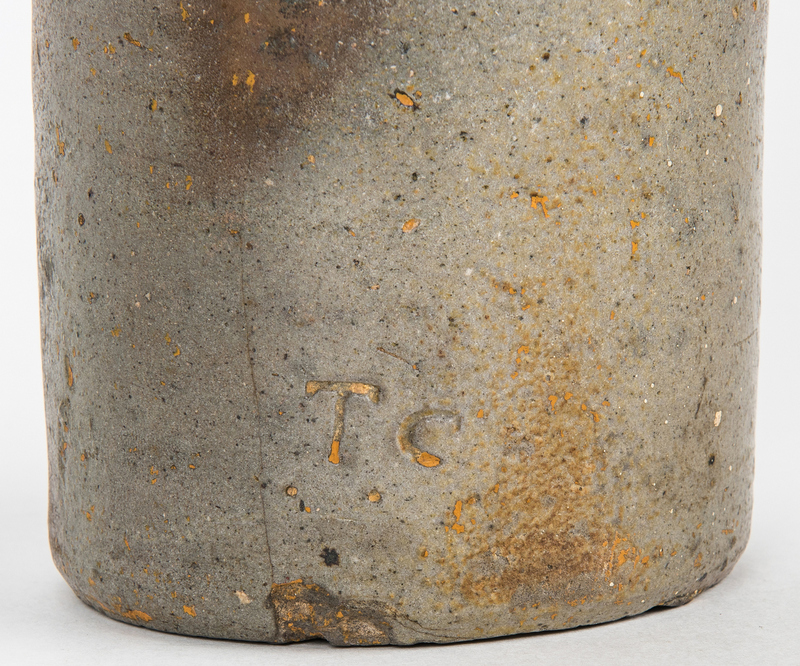 Bottle with chip to rim, hairline and chip to base near initials. 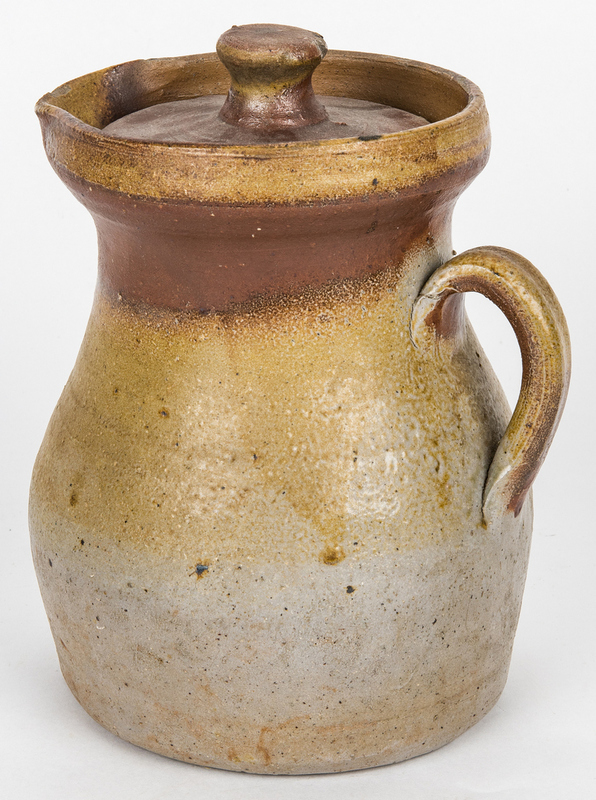 Minor glaze exfoliation to pitcher rim, minor chipping to lid finial.